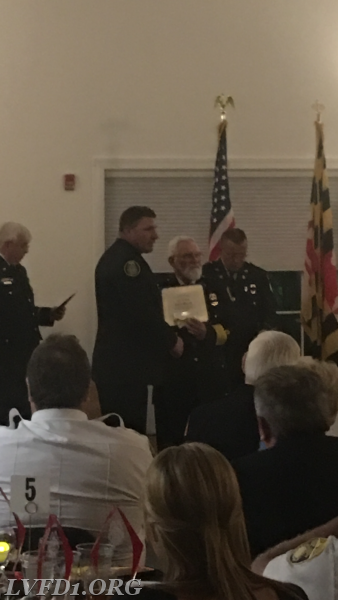 This weekend the officers and members of the Leonardtown Volunteer Fire Department attended the Southern Maryland Volunteer Firemen's Association (SMVFA) 70th annual convention and parade. 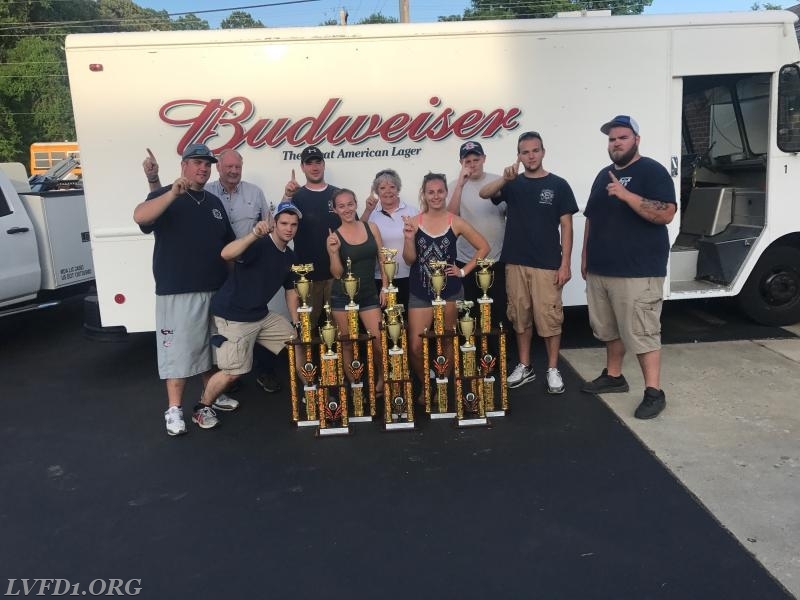 This year the convention was hosted by the Huntingtown Volunteer Fire Department in Calvert County, Maryland. The convention took place on Saturday April 29, 2017 and was followed by a parade and firemen's games on Sunday April 30, 2017. Your Leonardtown Volunteers participated in the parade this year with Engine 11, Tanker 14, Truck 1, Utility 1, UTV 1, Car 1, Brush 1, Jeep 1, and Raft 1. For those who are not aware, the SMVFA is an association composed of most of the fire departments and rescue squads in Charles County, Calvert County, and St. Mary's County. The goals of the SMVFA include promoting cooperation between member departments, promoting cooperation between member departments and the public, and to lobby for the success of its member departments. The convention on Saturday is an event to celebrate the accomplishments of the SMVFA and its member departments, to welcome the incoming officers, to present awards to departments and their respective personnel, and to remember personnel who have passed over the course of the year. Some awards that are presented include lifesaving awards, unit citations, scholarships, and length of service awards. On Sunday, departments participate in a parade to show off their members, their existing apparatus, and any new apparatus that the departments have purchased over the course of the year. After the parade the member departments enjoy firemen's games, food/drinks, and more awards that are handed out for best appearing units from the parade. Sgt. 'Rollin' Nolan Scully: Inducted into the SMVFA Hall of Fame. 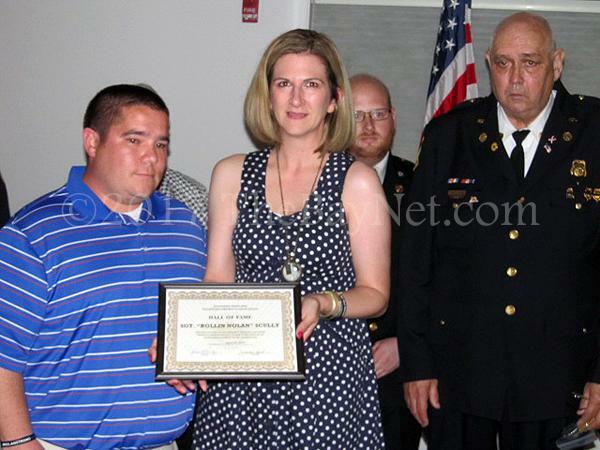 Firefighter Gary Bell: Inducted into the SMVFA Hall of Fame. Firefighter Buck Trossbach: 50 Years of Service. 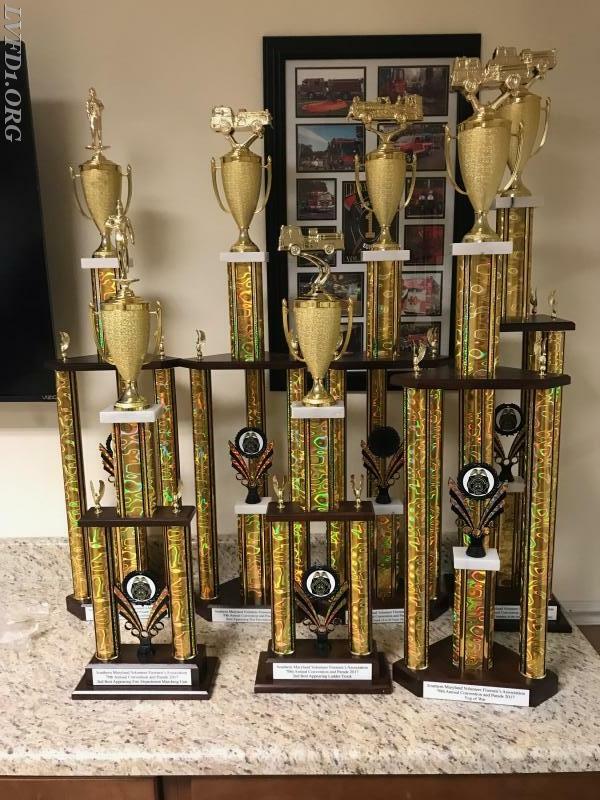 Awards brought home by LVFD. The officers and members of LVFD attended the SMVFA parade during the weekend of April 29-30, 2017 in Huntingtown, Maryland. Members marching in the parade. Jeep 1 in the parade. Truck 1 in the parade. Firefighter (Past Chief/Past President of LVFD) Gary Bell being inducted into the SMVFA Hall of Fame.